Iguazú (Spanish) or Iguaçu (Portuguese) Falls are a series of more than 250 waterfalls formed in the Iguazú River along the border between Argentina and Brazil. 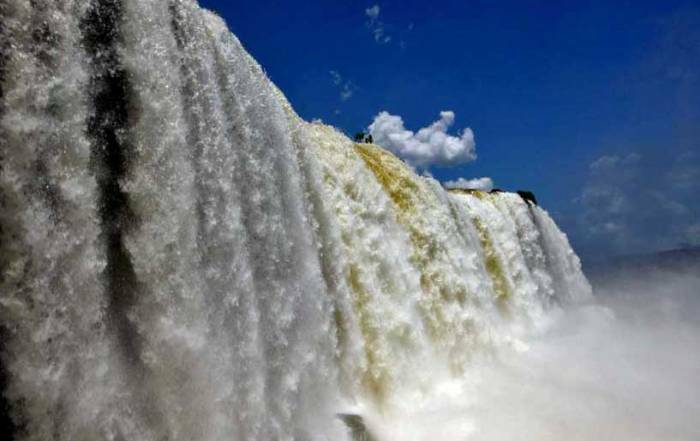 In Brazil the name Iguassu is also frequently used. Most people visit Iguazú Falls in the summer months (January) when school is out in South America. 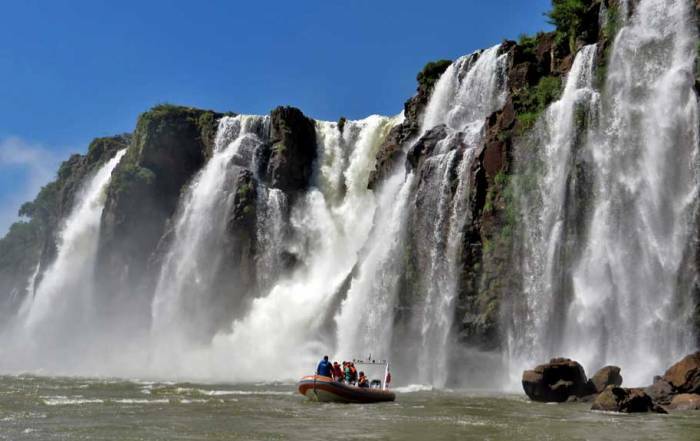 Puerto Iguazú is the closest town to the falls on the Argentine side, while Foz do Iguaçu services the Brazilian side. There is a bridge over the river between the two cities. The Argentine side Iguazu National Park has a series of trails and a train running along the falls. It is much more extensive than the Brazilian visit. 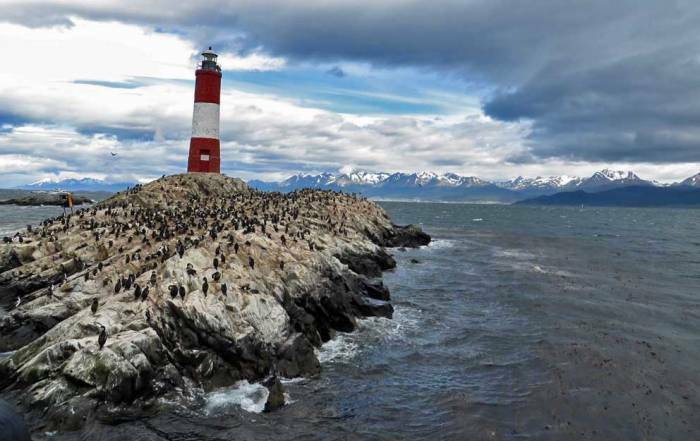 Expect to spend about 6 hours on the Argentine side. Strangely, they did not accept credit cards for admission in 2014, but credit could be used for tours and concessions. The Gran Aventura speedboat ride was a highlight of our 2014 visit to the falls. 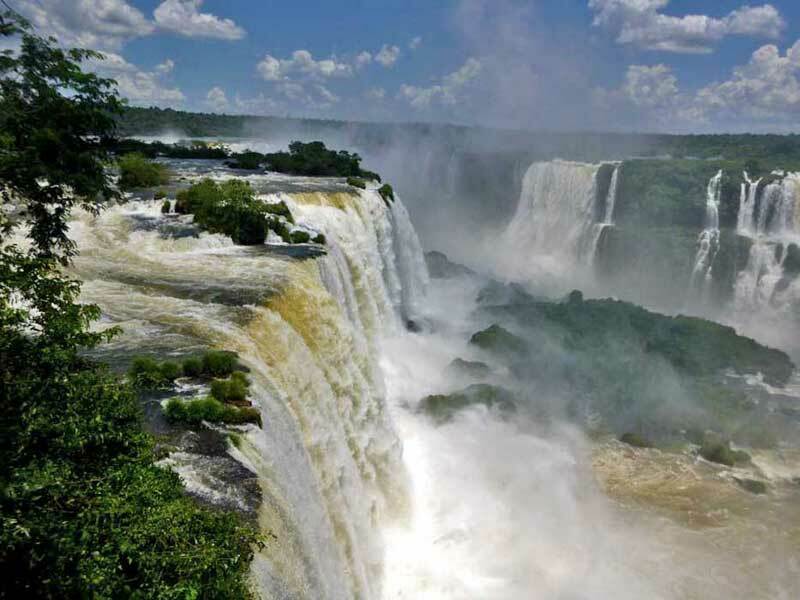 It’s our #1 recommendation when you Visit Iguazú Falls. See our Iguazú Falls Argentina Visit blog. 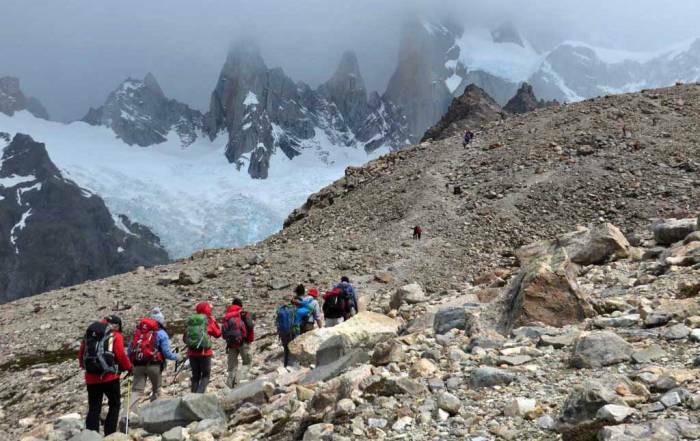 Walk the Lower Circuit below Salto Bossetti and past the Dos Hermanos. Look for coatis and plush-crested jays. This trail then climbs to the Upper Circuit. 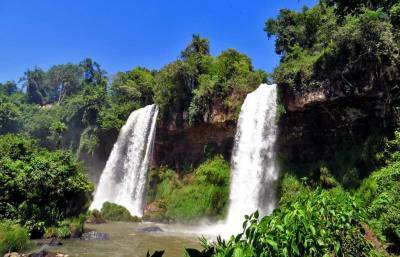 On the Upper Circuit, visit Salto Bossetti falls from above and also Salto Mbigua. Look for Dusky Swifts that nest under the waterfalls and look for caiman along the walkways too. Take the train from the center of the park to Devil’s Throat Station. Total train time is less than half an hour. 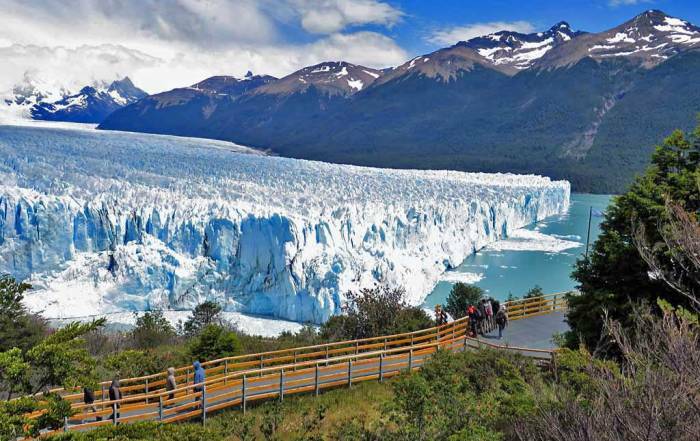 From the Devil’s Throat Station, take a 1 km walk on a metal mesh walkway over the river and islands to the Devil’s Throat viewpoint (Garganta del Diablo). 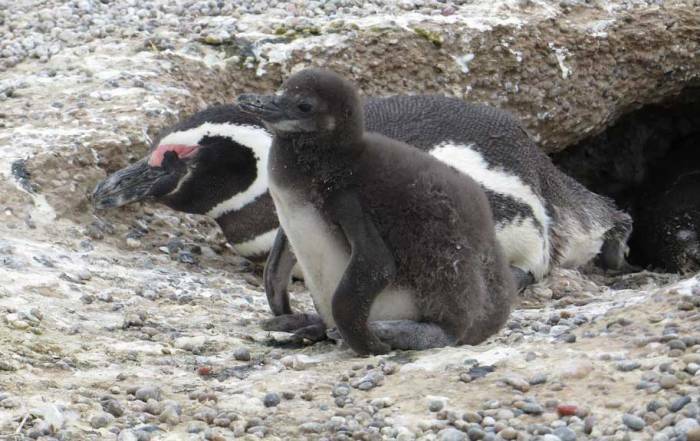 Look for catfish and plush-crested jays along the way. The Devil’s Throat is almost twice as high as Niagara Falls, but it’s impossible to see the full length of the falls due to mist. Hotel das Cataratas – located in the Brazilian park facing the falls. Be prepared to pay for the best. Viale Cataratas Hotel – between Foz do Iguacu and the Brazilian park. Melia Iguazu – located in the Argentine park. The hotel is back from the falls a bit, but looks directly up the river with falls on either side and the Devil’s Throat in the distance. Iguazú is near the equator, so there isn’t a significant temperature change between the seasons. The summer months from December to March are slightly hotter and more. At this time of year, the towns of Puerto Iguazú and Foz do Iguaçu virtually close down over the noon hour and then come alive again after sunset. Expect to eat dinner after 9 pm and to find the city center full of families with young children playing in the parks near midnight. December to January is also the rainy season, which means the falls have their highest volume of water. St Martin Island, in the park, closes due to the high waters at this time of year. The dry season runs from April through June. In the winter months of June – August, highs are in 70s F (20s C) and lows are in the 60s F (10s C). 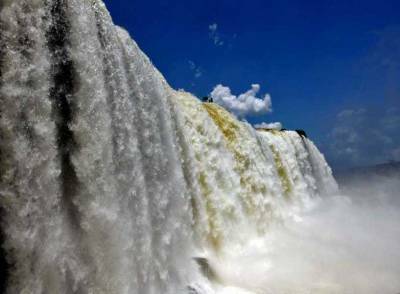 January is a great time of year to visit Iguazú Falls. Riding a jet boat into cool water during the heat of the day is exhilarating and the busy streets and restaurants late at night make it a special experience. 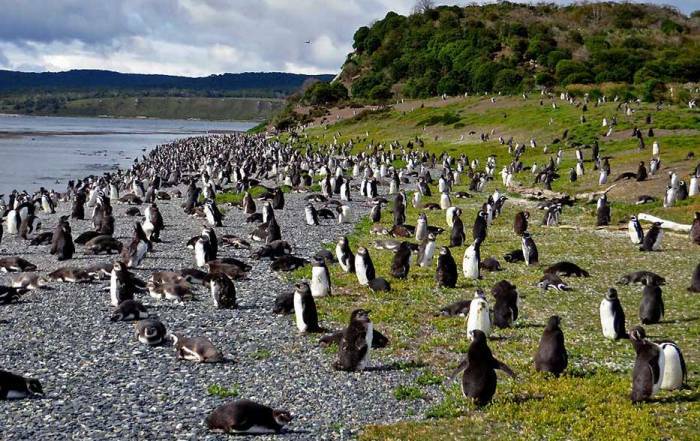 Just remember that Brazil and Argentina take holidays in January and February, so it can be busy. Easter is also a popular time for South Americans to visit Iguazú. The Brazilian side, Parque Nacional do Iguacu, has far fewer waterfalls, but has views directly to the numerous falls on the Argentine side. It follows the canyon toward the Devil’s Throat, which can’t be viewed from the Brazilian side. The Brazilian park can be easily accessed by bus from Foz do Iguacu. See our Iguacu Falls Brazil Visit blog too. 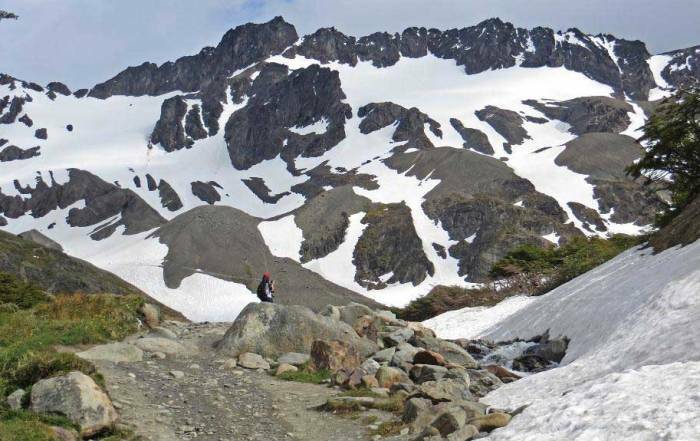 Admission includes a fee for the bus service that then takes you 7 miles from the entrance to the viewpoints and trails. Credit cards can be used at the entrance and at the concessions. There is also a cash machine at the entrance. The trails are much less extensive on the Brazilian side. The major viewpoints are easily covered in less than 2 hours. 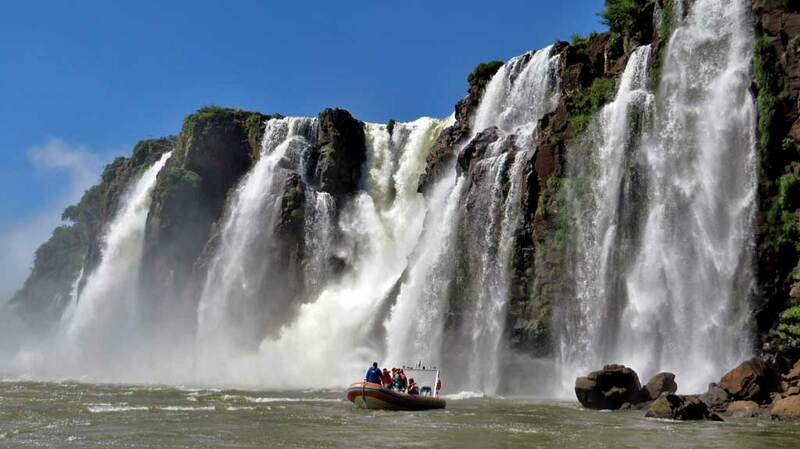 A boat trip with Macuco Safari below the falls is fabulous. Be prepared to get completely soaked as they drive the boats right into a number of falls. An extended platform scaffolding walkway allows you to feel like you are right in the middle of the river. Take the elevator up to Porto Canoas Restaurant with a view of the river above falls. You can see the tourists in Argentina at the Devil’s Throat and you can see the spray, but you can’t get a good view of the Devil’s Throat from the Brazilian side here. Just outside the park entrance, visit the Iguacu Bird Park (Parque de Aves). 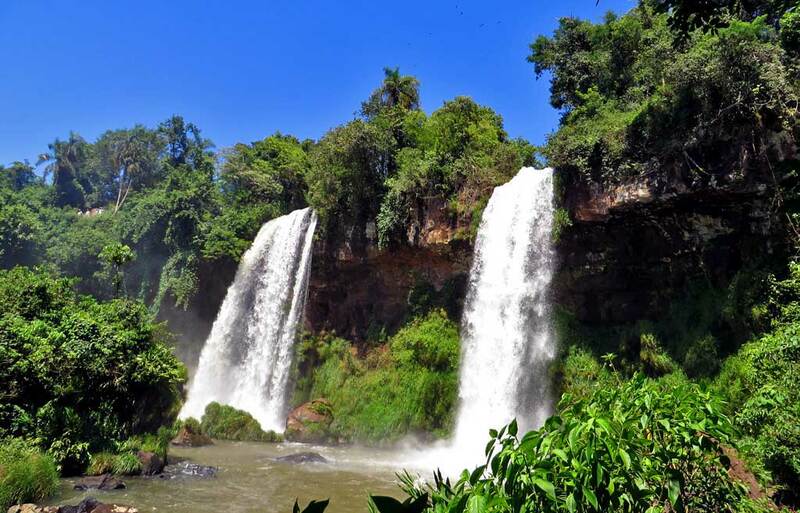 With two airports, two similarly named cities and two national parks in two different countries, it’s easy to end up in the wrong spot in Iguazú. Also pay attention to the time of day, as there is a one hour time change at the border, which could make you late for a flight on the Brazil side. 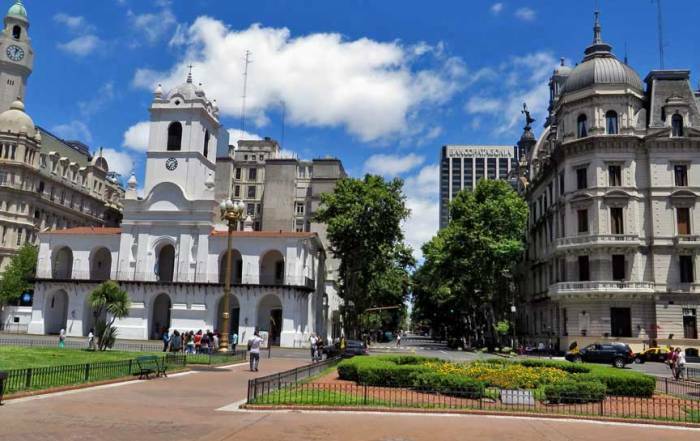 The town of Foz do Iguacu on the Brazilian side and Puerto Iguazú on the Argentine side are both about 20 minutes from their respective parks. You can arrange for a cab to pick you up at your hotel and later return you from the falls, however that option will cost about 3 times as much as the frequent local bus service. It’s easy to switch countries if you have your Brazilian visa.